Heading down to Mainbeach this weekend? Here’s a great site with all the information you need before you hit the waves – http://beachsafe.org.au/beach/qld1532 . You can search for all the other beaches in the region on the same site. The Intermediate classes joined forces today to practice English through a speed dating activity. The students said it was a really fun way to learn the ‘important’ English they will need for the Koala Bar tonight. Do You Need Help Planning Your Travels? Feel like doing something fun this weekend? Want some advice on buses and flights? 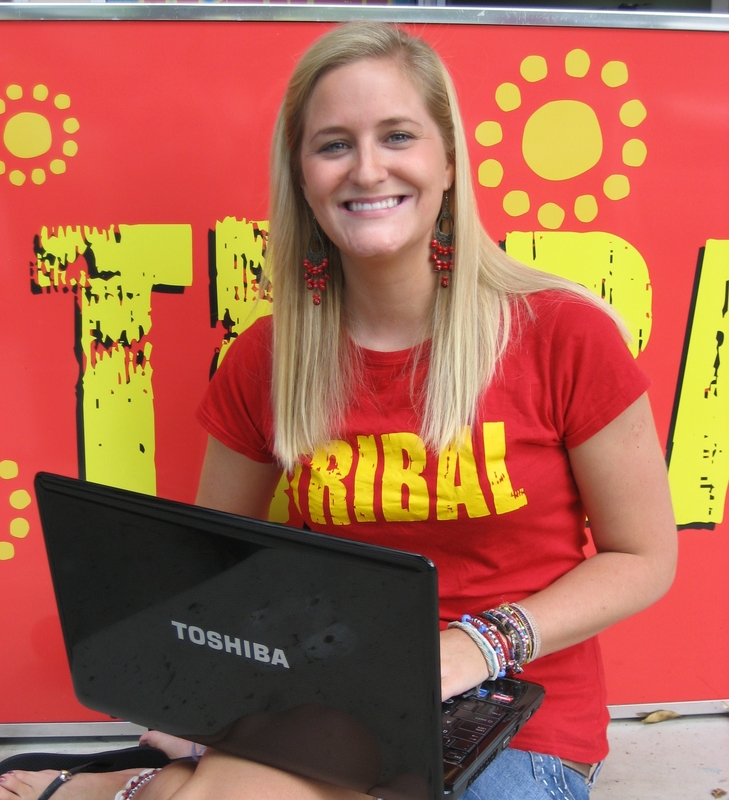 Ask your questions at the Global Village Travel Desk, courtesy of Tribal Travel. Look out for Kayley (pictured) every Tuesday and Thursday lunch break. She’d love to help, and has some great ideas for local and Australia-wide adventures. After a game of beach volleyball, the best way to cool down is to have a quick swim. Then spend some time in the sun to work on your tan. Noosa Main Beach is perfect for just lying around and when it gets too hot, the protected water of Laguna Bay is a refreshing 25 degrees. These Swiss students were soaking up the summer sun yesterday at Main Beach after calling an early finish to their volleyball game. Here is a great example of the writing tasks our FCE students are doing. Last Friday, I went to the cinema to watch Invictus with the FCE classes. It’s about Nelson Mandela’s life when he was just elected President of South Africa. And wanted to see his dream become a reality; black and white people who will be equal under the same flag. At this time the rugby world vup took place in South Africa and rugby was still a sport for white people. Mandela used this opportunity to unify South Africans under the Spring Boke team, symbol of the apartheid. He knew that if the spring Boke won all the country could be unified. He asked the Spring Boke captain to work with him to help him achieve this. It was such a great movie with famous actors; Morgan Freeman (Mandela) and Matt Damon(Francois). It helpd to understand what happened in this country at this time and what Nelson Mandela had lived in prison. Before watching the movie, we did some language activities about the movie and sang the movie’s theme song and read the poem ‘Invictus. In the afternoon, we discussed the movie and the different interpretation of it. Thanks to my teacher, I watched a great movie, learned something about the history of South Africa and improved my understanding. Finally, I want to share with you a part of the poem I really like, which helped Nelson Mandela incarceration in prison for 9000 days. As a prelude to yesterday’s national holiday, students were introduced to some fair dinkum Australian activities. We started with a pie eating competition which included 4 party pies, a big spoon full of Vegemite and a can of beer to wash it down. After the pie eating competition, we had a thong (flip flop) throwing competition. Congratulations to Mohammed from Saudi Arabia for being the most accurate and skillful thrower of thongs!! This is a FREE event from 1pm till 9pm at a secret location near you (see student board for details). Beach Volleyball, Cricket, D.J’s. BYO food and drink. Noosa is full of Hotels, Resorts, Restaurants, Bars and Cafes. During the summer months these businesses need extra help and they like GV students. If you need help with your resumé or finding work, come and talk to Don. Alvin’s Korean cooking demonstration for the Wednesday Activity spiced up everybody’s day. Are you always curious about some of the slang that Australians use? The Director of Studies at GV Brisbane, Mariana, has provided some helpful information this week on Australian slang. Australian English is an accent that is full of lively colourful phrases. Some of the words and expressions used are taken from British slang (very informal vocabulary items). Some words have a completely different meaning in Australia than they do in other English-speaking countries. Other words are indigenous to Australia and derived from Aboriginal terms, such as ‘boomerang’ and ‘kangaroo’. But the most characteristic aspect of the Australian accent is that common words and expressions have been shortened considerably, turning three- or four-syllable words into two-syllable ones. It is important to notice that Australian slang exists primarily because Australians take the English language as a game to play, and they love to have fun with words. Here are some of those everyday words and their shortened Aussie versions for you to use to sound more Australian, but more importantly, to understand natives when you talk to them! Use them whenever you can, and enjoy the language! Australia – Oz, as in Oz-tralia. From now through to the end of March it is typical for low pressure systems to develop in the Coral Sea off North Queensland. These systems can produce large swells and often develop into cyclones which produce even bigger waves. This photo was taken at Noosa’s ‘Boiling Pot’ in early 2009 when cyclone Hamish was hanging around. When these conditions occur, Noosa National Park gets some of the best waves in the world. Lets keep our fingers crossed for another swell like this in the near future! Dionne’s FCE class made pancakes in class and there was plenty to go around. Reading and following simple recipes is a great way to learn English. The pancakes with sugar and honey were delicious and all students and staff were able to have a sample. Hugo was the only one to burn his and almost started a fire in the classroom! He claims the frying pan was getting too hot even when the setting was on low. It was GV Monte Carlo today when student officer Don set up poker tables for the Monday activity. The games were enjoyed by an enthusiastic group of ‘gamblers’ and the winner, Hugo De Silva Alvez walked away with a bottle of champagne. On Thursday, Trent Scott from USC visited GV Noosa to meet up with some of our students who will transfer to the University after their English course. Han, from Vietnam and Perdro from Brazil were happy to meet with Trent and discuss pathways and courses. Scott visits GV Noosa regularly to give information sessions on this wonderful 5 star University. If you are interested in studying at USC, the next presentation by Trent will be advertised on the student notice board soon, or ask Becky for more information. The Friday table tennis competition ended up with an all French final today. Antoine and Loic were victorious and gladly accepted a bottle of wine (not French) from our lovely Registrar, Lindsay Ford. 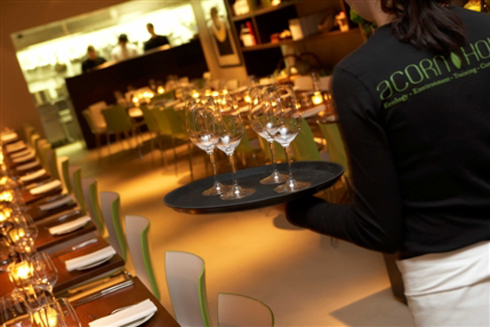 Waitstaff – Busy Noosa Cafe, no nights, Cafe Vincino 0423 015716. Giving or listening to an oral presentation is a great way to improve your English, especially when laughter is involved. Waleed Almarzoug certainly entertained teacher Sonia Russell and classmates Joelle and Lauren with his New Zealand holiday videos. Waleed and his wife were very brave and jumped from a 109 metre high cliff edge, freefalling 60 metres from a vertical cliff face on an elastic swing. The girls are obviously enjoying watching Waleed and his wife flying through the air! Yarananda Vieira Vilaca and Stefania Reis say that they have had the best time ever! While studying at GV, Yarananda has been working as a waitress at the The Noosa Surf Club. She said that the job was really fun and a good way to meet people and improve her English. Meanwhile, Stefania collected good wages as a cook at Rocco’s restuarant, which won ‘Best entertainment Restuarant’ at the 2009 Queensland tourism awards. Both girls say that they have had the best time ever at Noosa, loved their jobs and now have enough money to go travelling before returning to Brazil. They will go to Fraser Island, the Whitsundays, Byon Bay and Melbourne. We wish you happy and safe travelling girls. We will miss you both. Can you play table tennis with 14 people on 1 table? Yes, of course. Just get everyone to stand around the table and rotate anti-clockwise taking turns at hitting the ball. When there are lots of players and only one table this game allows everyone to play without the need to wait for your turn. Students tell us that this style of play is quite common throughout Europe. Thank you for sharing this fast-paced technique with us here at GV Noosa! First Stop on Honeymoon is GV Noosa! Jae Ho Lee, Josh to his friends, came straight from the airport to GV Noosa today to introduce us to his new bride, Eun Hye, Yeam. Josh studied in our Cambridge program in 2007 and was the first Korean student with us to pass the Cambridge Advanced Exam. As a result he secured a job as a banker with KEB, (Korea Exchange Bank) and hopes to get a position with them in Australia in the future. Josh and Eun Hye married on the weekend and he couldn’t wait to bring his beautiful bride to GV Noosa and introduce her to us. He was happy to see his teachers still here and said he treasured his memories of his time in Noosa. We wish Josh and Eun Hye a wonderful honeymoon and every blessing for their future. Thanks for coming back to say hello to us. Next weekend we have a bus going to the Gold Coast with GV Noosa and GV Caloundra students. First stop is Dreamworld and Whitewaterworld, then off to Surfers Paradise for a night club tour. After a couple of hours sleep at the backpackers, some breakfast and a visit to the markets and DFO shopping on the way home. Every Wednesday students are invited to join a Soccer game at Sunshine Beach High School from 3.30pm. Thursday afternoon is Basketball at the Primary School from 3pm. Time to find a Job? Also keep an eye on jobsnoosa.com.au for latest updates. Good Luck! Today we welcomed more than 100 new students to GV Noosa in the traditional Aussie way… A Barbeque. Perth born Tim Bloxsome joined the teaching staff last year. Before I came to GV Noosa I was travelling the world. Teaching in Taipei! Paris! Rome! Perth! Before that I was a magazine journalist in Melbourne and Sydney. I love the surf. I also love the weather but I really love the surf. Tea Tree Bay on a perfect day is heaven on Earth. I hear you have published a novel, tell us about it? I’ve published two novels, one is called LBF, the other is called Woodchopper. LBF is currently being made into a movie in Sydney and I am told that it will be released a t a festival premiere this year, but you should never believe what ‘movie people’ tell you. First and foremost a language student should use the new language as much as they can; speak to strangers, shop assistants, bus drivers….everyone. I ask my students to speak in full sentences and avoid giving one-word answers. Fluency comes from repeatedly using good sentence structure. Noosa Reef Hotel – Noosa Drive. Great DJ’s Friday and Saturday nights. 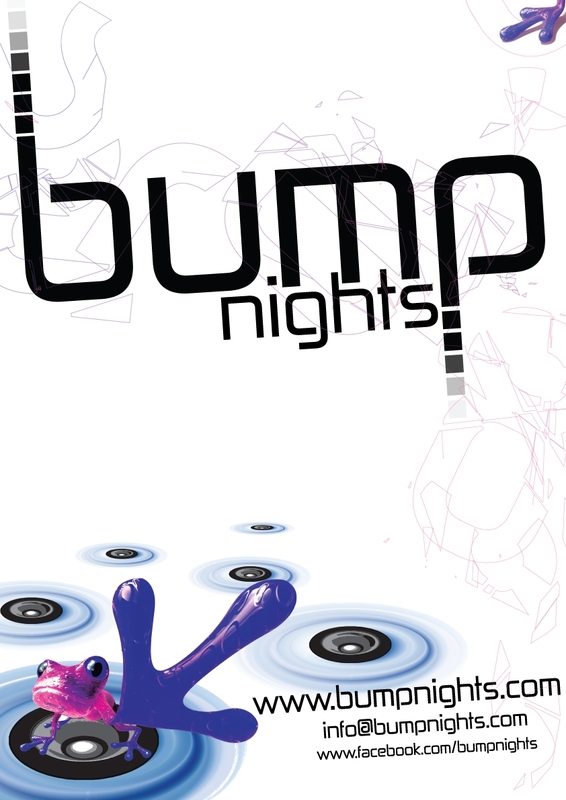 free entry before 9pm. $5 cover charge after 9. 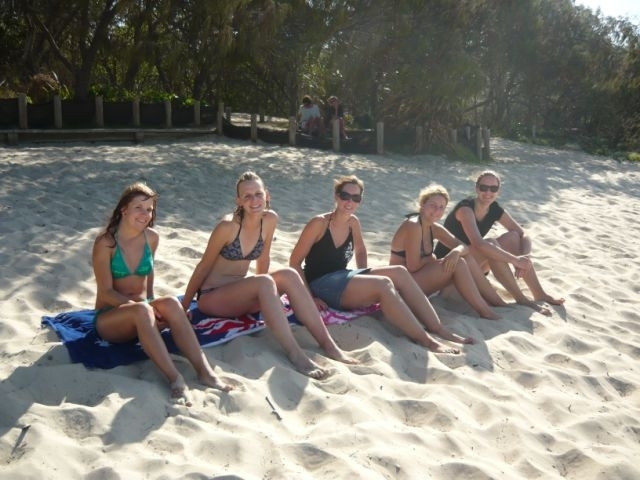 Most students stayed around Noosa on New Years but some went to Brisbane and others went as far as Sydney! Great to see everyone made it back in one piece to start fresh in 2010! Keep in touch with your classmates on our Facebook page! If you have any photos or useful Noosa links, please feel free to load them up. New to Noosa? Here’s a quick guide to the best places to work on your tan!